Singing a song on Laura’s last day in the Creche. The children are sad to see her go, but excited to see Natasha next Monday . 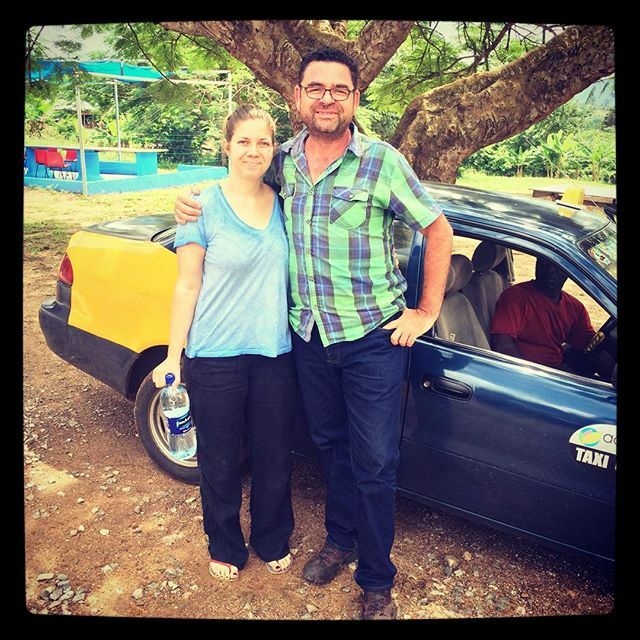 Sarah, a staff member from pod left us after her one week visit to village by village in Ghana, she has enjoyed it and we have also enjoyed having her with us. 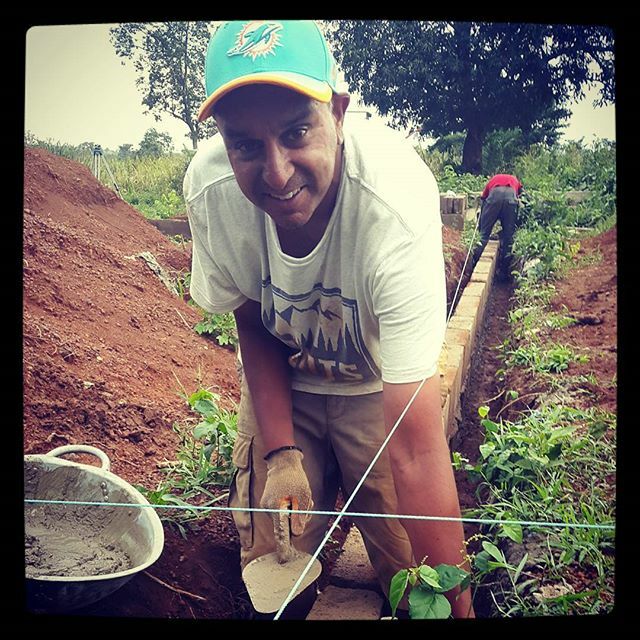 Manhar, our two week building volunteer laying blocks as taught by our mason, Michael. Skills transfer at its best here at the new clinic build in Otwetiri. 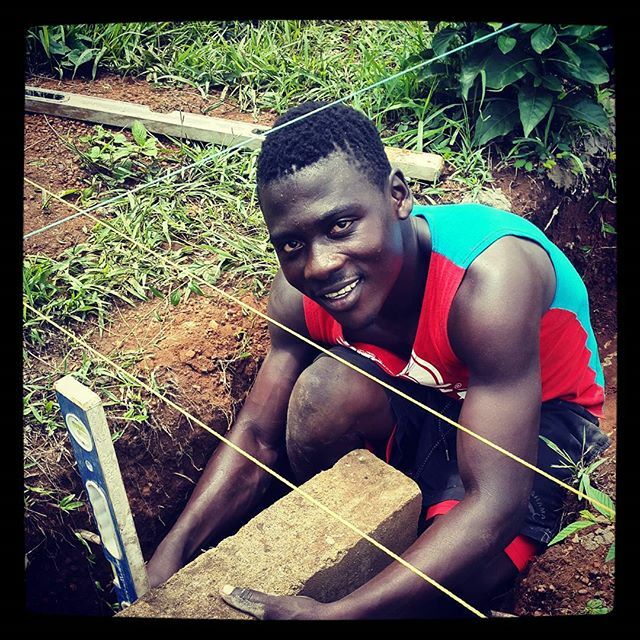 Michael (Gabo) lays the corner blocks for the new clinic here in Otwetiri. In two weeks we will be up to slab level ready for the community to do the infilling for the new slab. Collaboration on all our projects with local communities is the key to success and sustainability.